A rough sleeper was attacked in the gardens in Brighton at around 11.55pm to Tuesday, August 7. The victim, Andrew O’Connell, 54 from Kent, was taken to Royal Sussex County Hospital, where he later died from his injuries. 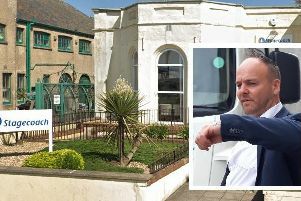 Sussex Police said today (August 14) that Sergio Lemori, 32, unemployed and of no fixed address, appeared before Lewes Crown Court, where he pleaded not guilty to murder. He was arrested in Church Street, Brighton shortly before 9pm on Wednesday, August 8, police said. Lemori was remanded in custody ahead of a pre-trial hearing on October 29, police said, and a trial date has been set for January 21 2019. Anyone with any information is asked to report it online or call 101, quoting Operation Dickenson. Andrew’s family paid tribute to him and wished to clarify that while he was sleeping rough when the incident occurred, he was not homeless.